Olivia is three years old with honey blonde curls and a big personality and, like most children her age, she is ready to move! 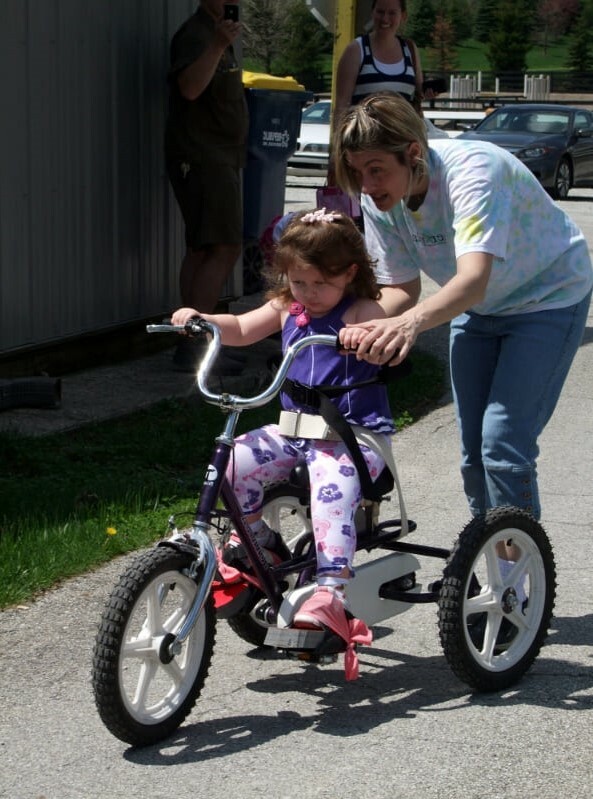 She loves dancing, playing with her three siblings, and now, thanks to steady progress in physical and occupational therapies, she also loves riding an adaptive tricycle all by herself. But that wasn’t always the case. 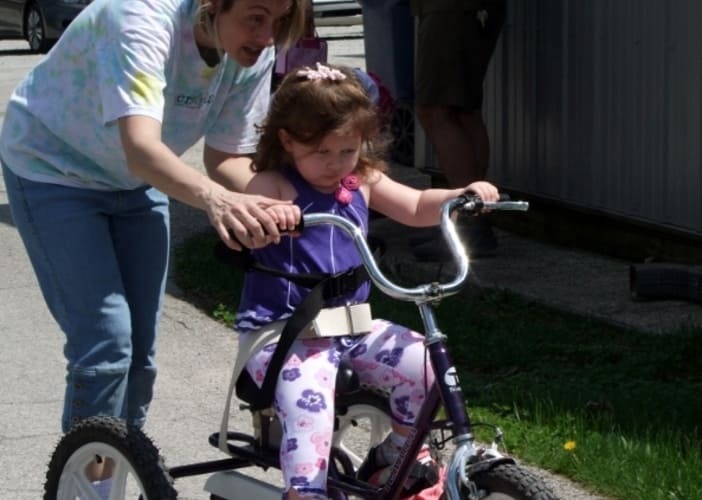 When she came to The Children's TherAplay Foundation in 2012, Olivia’s initial evaluation showed she was approximately 12 months delayed in development with low tone; muscle weakness; and challenges with motor planning, sensory integration, and delayed fine and gross motor skills. In addition, Olivia showed very little expression and her vocabulary was limited to two spoken words and a handful of signs. 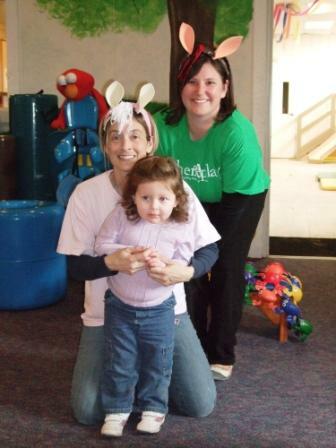 All that changed when she came to Children's TherAplay. Olivia was approximately twelve months delayed in development. Her walking was unsteady and she was unable to stand on one foot or run. During on-horse therapy time, she was only able to hold herself upright for a short period of time. Her verbal progress was limited to two words and some signs. Olivia showed very little personality. “Stoic” is how her parents described her. Olivia has gained six months of skills physically! Not only does Olivia walk steadily and stand on one foot independently, she runs! During her on-horse therapy time, she is proud to hold herself up for the full length of the session, reach for toys at the direction of her therapy team, and even maintain alternate positions (such as kneeling) all by herself! Olivia’s vocabulary has grown in leaps and bounds. These days she always has something to say. What surprised Jana and Rob the most though were the gains they never even thought to hope for. Olivia is becoming more engaged in her world. Jana relates, “She’s exploring more, trying more things. She’s more confident.” But there’s more. 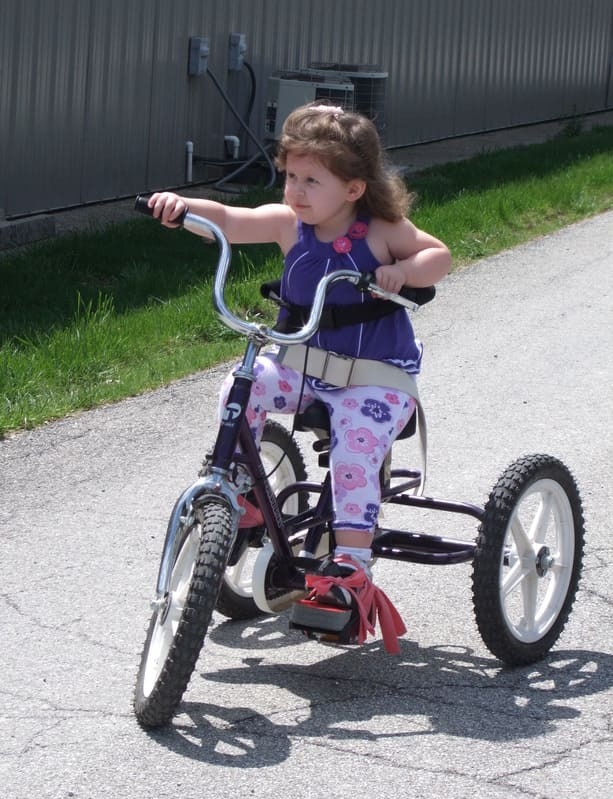 And where, prior to her time at Children's TherAplay, Olivia showed very little personality – “stoic” is how her parents used to describe her – Olivia’s family has been overjoyed to see a definite personality emerge. It’s phenomenal – it’s supportive and encouraging. There aren’t enough words. Children's TherAplay is just amazing for these kids.